Are you ready to go to college but have no idea what you want to do with your life? Why go to school for something ordinary like business administration when you can earn a degree in something like puppetry or pop culture icons? Some of the most unique degrees can offer you some of the most interesting courses in college, guaranteed. Check out these 5 (very) unique college degrees. Honestly, who wouldn’t want to play with puppets for their career? Do you really need to have a degree to do that though? Whether you need one or not may be up for debate, but you can earn a bachelor of fine arts in puppetry, which teaches you the ins and outs of all things related to puppets. 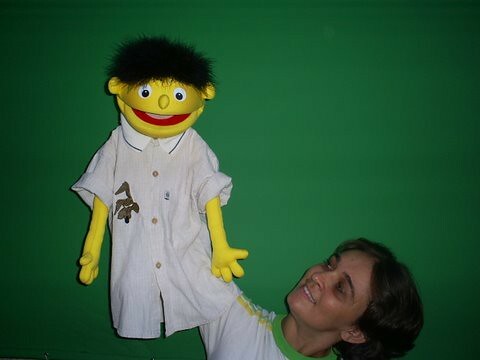 If you want to go even further in your puppet education, you can pursue a master’s degree in puppetry at the University of Connecticut. Forget getting a degree in early childhood education. If you want to be a nanny but not a teacher of young children, pursue your professional nanny degree at Sullivan University instead. You will learn many of the same principles as you would in an early childhood education program, but you will be learning to care for children in private residences and country clubs instead of kids in the public school system. Do you think they teach you how to feed babies with silver spoons too? If you eat, sleep, and breathe celebrity news and gossip, a degree in popular culture studies could be the best possible way to spend your years in college. Offered at Western Kentucky University, this degree offers you the chance to dissect the news and other offerings of mass media as it relates to popular culture. After all, watching reality television is the best way to learn what the world is really like, is it not? No, this major doesn’t teach you how to chase down the bowling balls you throw in the gutter that never seem to come back again. Well, it doesn’t teach you only that. This ideal degree for bowling enthusiasts everywhere is offered at Vincennes University in Indiana, so there must be a lot of people in the Midwest who really love bowling. As part of your degree in bowling chasing management, you will learn how to manage a bowling alley, maintain the lanes, and many other skills that you can use chasing bowling balls into back rooms and serving greasy food. If you are a lover of the great outdoors, a degree in adventure education from Green Mountain College in Vermont could be yours for the taking. Spend your college days participating in rock climbs, rafting, and backpacking as you learn how to lead outdoor expeditions for the novice adventurer. Bookworms need not apply! Whether puppets, bowling or rock climbing is your thing, pursuing one of these charismatic college degrees will either help you find a job you really enjoy or give you one heck of a conversation starter for your resume! Jessie The is a freelance blogger who investigates interesting career paths. If you are looking for a fun and exciting career, Jessie recommends looking into the best online nursing programs.